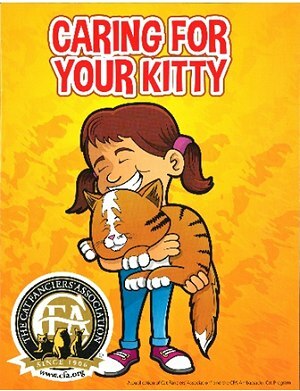 Help your children understand how to care and bond with their cat through the fun of coloring! CFA is proud to offer this fun and educational coloring book to all, free of charge. Central Office will ship up to 50 coloring books, in increments of 10, free of charge to all USA customers – a limit of ONE request please. For quantities over 50, please contact Brian Buetel at Central Office, bbuetel@cfa.org and he will provide you with the best and most reasonable means of shipping this wonderful book. CFA is proud to offer this exquisite detailed coloring book to all, free of charge. This book is geared to the more mature, experienced “artist”. 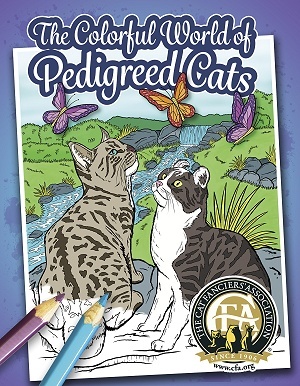 The book depicts wonderful renditions of the CFA accepted breeds plus an educational insert.